The key towards getting a steady steam of online leads is to build high converting attractive landing pages. 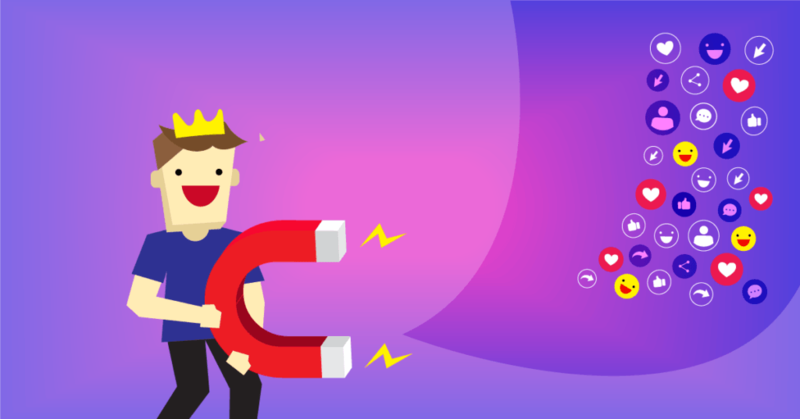 No matter which website you visit you will most likely come across an opt-in page that throws in a form which you need to fill out in exchange for something you want. There are many landing page softwares out there on the internet and today I am going to review Instapage, something that I personally use for a lot of my own clients. Before jumping right into the in depth review of Instapage I wanna throw in a quick review disclaimer to make a few things clear. Review Disclaimer: I have been using Instapage and other landing page softwares on the web. This is a completely unbiased opinion of Instapage for someone looking for a lead generation solution. Some of the products that I would mention while writing this review requires paid and non paid subscription (New Plans as of October 15th 2015). Finally I have been using the professional version of Instapage that has most of the features associated with it. The links to Instapage have an affiliate referral directed towards. However, I wanna point out once again that I will be as honest as possible with you going through both the pros and cons of their service. What Do Instapage Actually Do? Instapage is a one stop landing page solution for anyone looking to get new leads and customers using online marketing. If you are completely new to world of online marketing please do not get baffled by the introductory statement in this section. 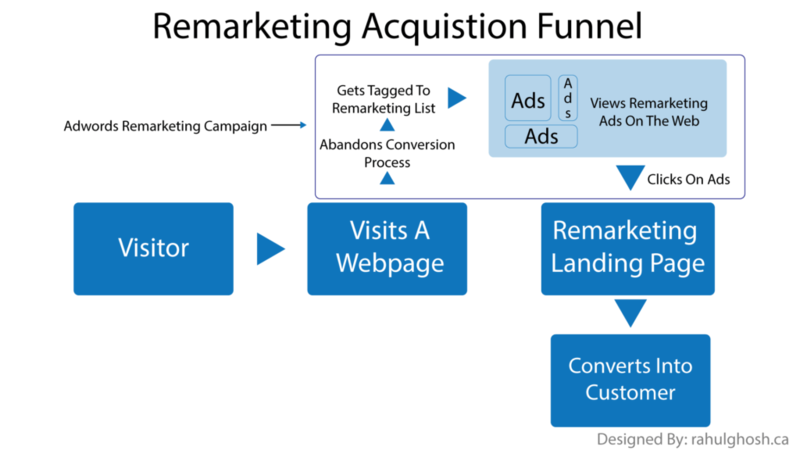 I will explain the entire funnel process throughout the review and list how Instapage fits into the picture. In the world of online marketing the most effective way to generate new leads is to create a landing page. A landing page focuses on driving user attention to a specific action that the user needs to take in order to get something that they want. Often you will come across many web pages that offers you a free report or an E-Book in exchange for some of your information. All of these pages can be categorized as landing pages. Instapage allows you to create and deploy these specific types of pages without writing a single piece of complicated web programming language. It also allows you to integrate with email marketing services like Constant Contact, Aweaber and Mailchimp to name a few. 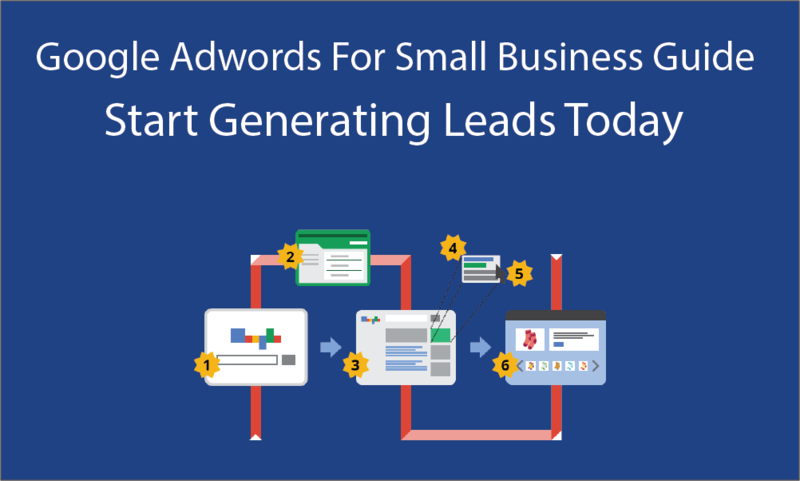 Integrating these services allow you to send them email marketing campaigns once someone signs up using one of these landing pages. The thing that I like about Instapage is that it’s extremely user friendly compared to some of the other landing page softwares out there. Once you sign up for their service you will be taken to your dashboard. The dashboard is like a central hub where you can see a list of your active landing pages and also use the blue button on top to start creating a page from scratch. Each landing page has a few buttons associated with it that gives you additional details like analytics, list of leads generated, download the template, duplicate and pause campaigns. The layout offers you to easily access all your landing page from the dashboard. if you have a premium account then you can create multiple profiles under the same email address to manage a large number of these landing pages. I tried many of their templates and they really offer a clean professional look that is optimized to give you a higher conversion rate. 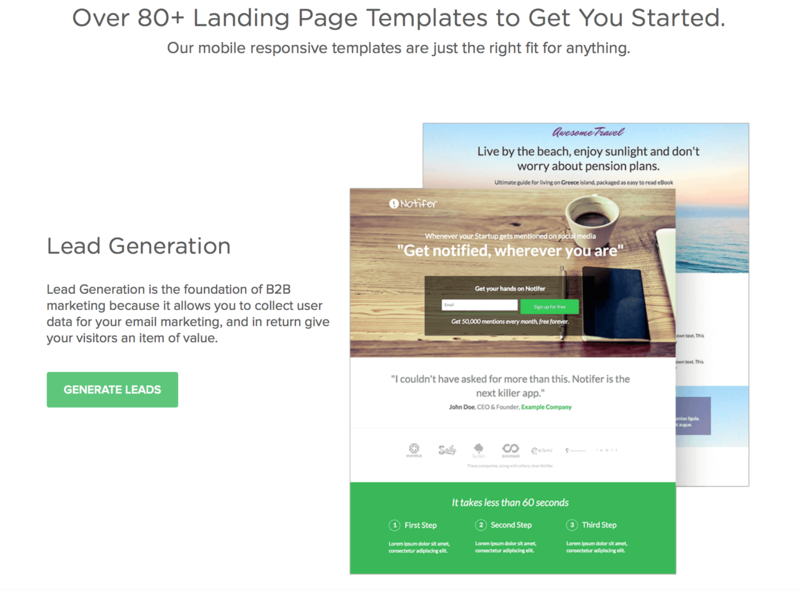 If you are new to this whole lead generation thing then I recommend sticking to these pre-existing templates. I hope that by now you have a good idea of what Instapage can do for you. Now let’s explore some of their features in greater detail. The drag and drop builder is what you are going to use to personalize and create all your landing pages for your business. It allows you to add new elements like a paragraph, headline, image, basic shapes and whole new sections. Once you have added a particle element to your page you can move it freely throughout the canvas and position it as you please. 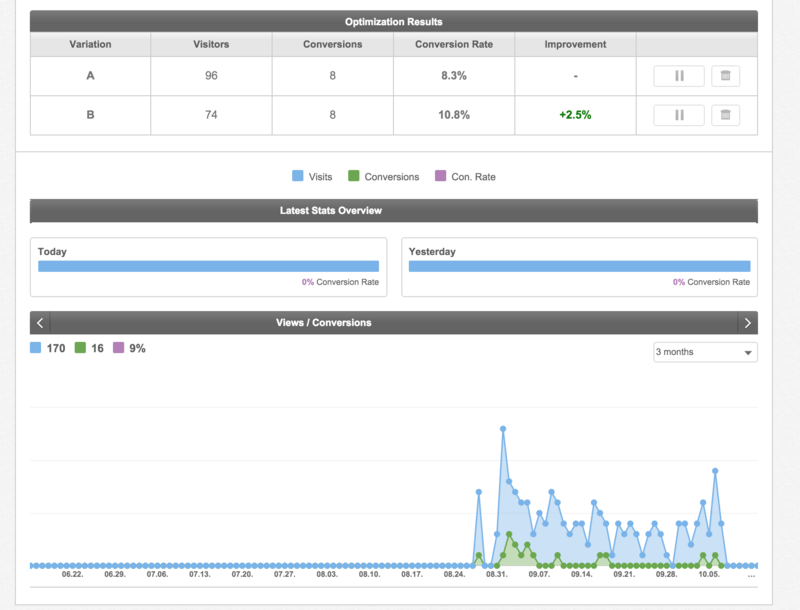 While it may seem logical for a normal user to do so but I must praise Instapage for their backend technology. If you were to move an element using just web programming language then it’s extremely difficult and time consuming. Their software really handles everything for you. Every element has a specific set of features that you can customize by clicking on it. For example if you are using a heading then you can change it’s font, heading tag (h1, h2, etc.) colour and size. For forms you can select what placeholders to show and customize the appearance for each of it’s element. Finally, the builder also allows you to insert Google Analytics code for external tracking. You can change the meta description, add a custom favicon, add custom conversion tag and make your landing page into a powerful lead magnet in every way possible. What I like most about their builder that all the amateur as well as professional functionalities are there but it’s not overwhelming when you look at it. The interface is clean, simple and built with specific blocks for specific functions that really helps a first time user learn fast. If you are launching a Google Adwords Campaign for the first time or you are an experienced Adwords marketer once needs to know the power of A-B Testing with landing pages and how it can help you optimize your conversion rate. 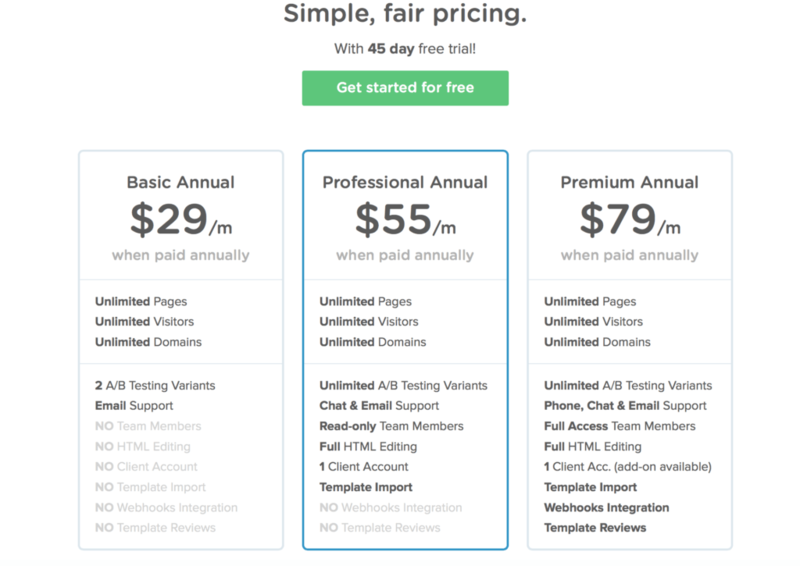 Instapage allows you to A-B test all their landing pages right inside the builder. Once you are happy with your final landing page design you can selection the Variation dropdown on the top right hand corner of the builder and start editing a new variation of the same page. Try different colours and texts if you are doing A-B Testing for the first time. When your campaign is live Instapage Analytics will give you a detailed report of how each version is performing and you can customize to show a certain version more number of times. However, if you are using the basic plan you can create only 2 variations of your landing page. The professional and premium plans allows you to create unlimited version. 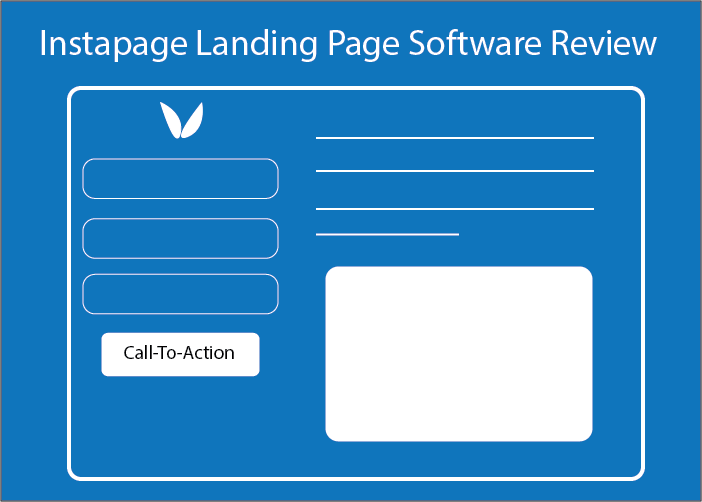 The key ingredient of any landing page software is to provide a seamless integration with your email marketing platform and Instapage is no different. Their email integration can sync with Mailchimp, Aweaber, Constant Contact and almost any other services out there on the web. When you create your form you have the option to select your integration and the form to use from your email provider. 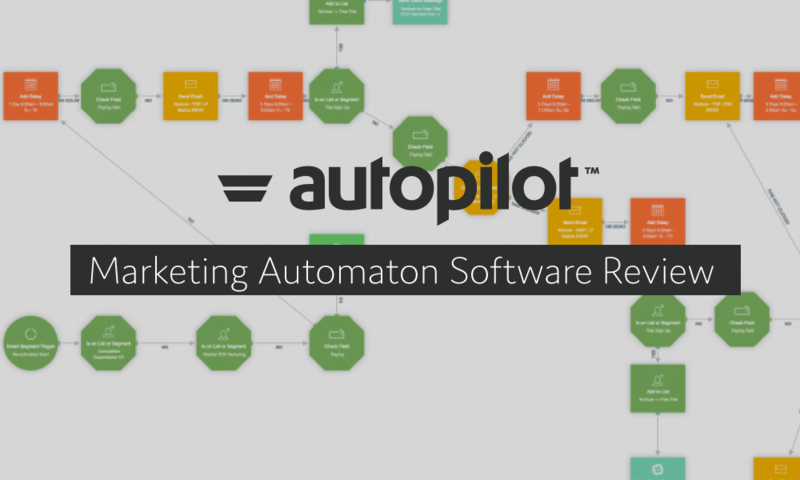 This is particularly useful if you want to sync any new lead to an automated email nurturing campaign. In order to make your landing page more effective and increase conversion rate it’s important that you have a comprehensive Analytics tool that allows you to analyze and measure your results especially for your A-B Tests. Instapage has a handy built-in analytics software that shows you the total number of views versus conversions. However, if you are serious about getting an in-depth look on how your page is performing for organic and paid search then you can easily integrate with Google Analytics and other platform to get all the data you want. I would definitely say that they can improve upon their analytics software and add more details like heat maps, time spent on page and other required fields. Once you are ready to launch your landing page using Instapage you can easily choose from a number of website integration choices. First and foremost you can use it as a subdomain on your main website. If you do not have a website you can still host the page under an Instapage subdomain. Finally my favourite integration is their WordPress plugin that lets you host any Instapage landing page under a specific URL for a WordPress site. All of their integrations is very easy to setup and they do provide an in-depth step by step tutorial for first time users. I would however like them to come up with a feature where I can host it under a specific URL for a HTML based website instead of a subdomain. Instapage offers unlimited page views and custom domains under their new plan structure that starts from $29 a month if paid annually. They also offer a free (no credit card required) 45 day trial period which is great if you want to try out the software before deciding on your purchase. Take a look at the pricing structure below. After using Instapage for quite a while I have to admit that Instapage is the best priced landing page software on the internet. There are other competitors that require you to pay significantly more (20-30% higher) while offering the same set of features. If you are in the hunt for a lead generation solution for your website I highly recommend that you give Instapage a try. Like I mentioned before, it’s easy to use and you don’t need to learn how to code in order to build an effective landing page. In general the reason why I recommend Instapage is mainly because of their ease of use. I have sent you an email regarding this article a few days ago and would really appreciate a response form you! Could you resend your email, I think I never got it.